A week ago, an interesting conversation happened with my team during lunch time at office. We gather at the lunch table as usual; it was only the Three Musketeers that day – Varsha, Vasundara and I. Varsha’s lunch box had roti and ‘parval-aloo’ (Hindi). Varsha is from Rajasthan and she said parval-aloo is a very common sabji (vegetable curry) in her family. Vasundara and I (both from Karnataka) ate the sabji and immediately recognised the taste of ‘paDavalakaayi’ (Kannada). We exchanged the vegetable names in our respective languages and continued with our lunch. This story would have ended there if not for our collective curiosity. Now, Varsha enthusiastically pulled out a picture of ‘parval’ from Google and showed it around. The picture made the ensuing discussion colourful. This picture looked very much like ‘tonDekaayi’ (Kannada). I told Varsha that the sabji tastes like paDavalakaayi but looks like tonDekaayi or ‘tindOra’ (Hindi). She vehemently opposed that notion and told us that both parval and tindOra look the same on the outside but are different on the inside. Parval has spherical seeds and tindOra has flat, oval-shaped seeds. Vasundara and I were not convinced and told Varsha that what she had brought was paDavalakaayi – Snake gourd. Varsha argued that her family does not cook Snake gourd and she has been eating parval-aloo for decades and she is not mistaken. The argument continued but no conclusion was reached. When we dispersed, I pondered that they may be of the same genus and different species. 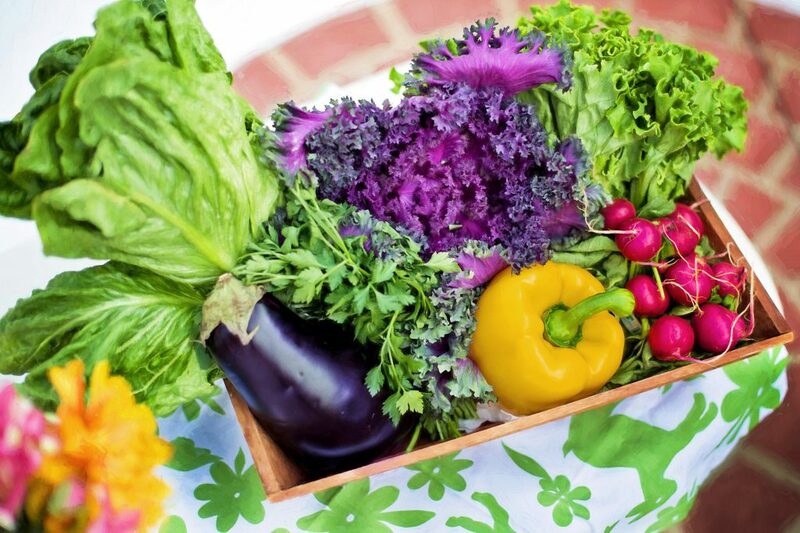 I was intrigued enough by the argument to probe into the nature of the two vegetables. The table and image below summarise what I learned. Interestingly enough, all three belong to the order – Cucurbitales, and family – Cucurbitaceae, the same order and family as Cucumber. On examining the binomial nomenclature, I observed that the Pointed gourd and Snake gourd belong to the same genus and different species. Ivy gourd on the other hand, belongs to a different genus altogether. Connecting this information to the nature of seeds tells us that the seeds may be the primary criterion to group different species under the same genus. The vegetables I am familiar with are Snake gourd and Ivy gourd, I haven’t come across Pointed gourd at all. 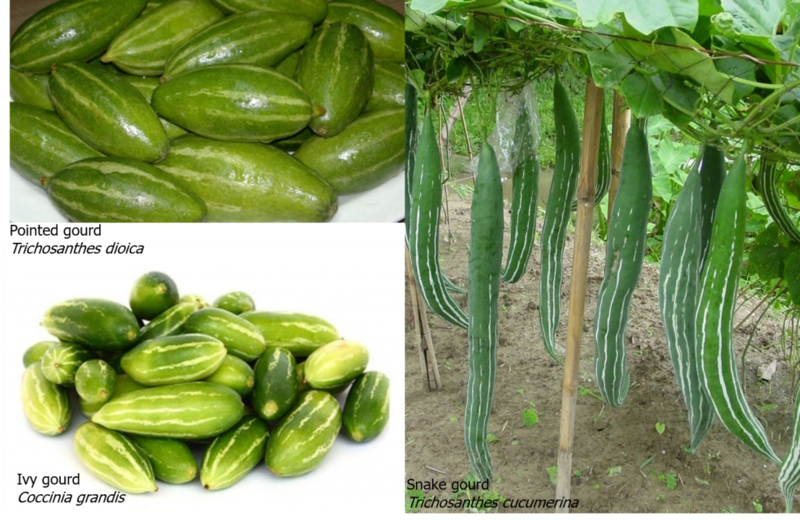 Whenever a Hindi speaking friend mentioned parval, I would connect it to Snake gourd. Several tropical varieties of plants are grown locally in very specific regions of India. Given our country’s diversity, there will be myriad such species that I would never have come across before. Here, it is also important to note the importance of a universally accepted and used system of nomenclature. If we go purely by Indian names, with so many languages and dialects, we would probably end up going around in circles. From my childhood days, I have learnt the names of vegetables, fruits and flowers in my mother tongue – Kannada. Even today, I don’t know or at least cannot instantly recall the English names of many plant products, especially flowers and spices. Interacting with someone whose native language is different from mine has indeed taught me a lot. Be it food, festivals, traditions, thinking, or ways of life. This seemingly routine (yet certainly lively) lunch-time conversation turned into a learning experience for me. My curiosity got the better of me and I couldn’t rest until I found the answer. It might seem trivial, but I was energised by the sense of self-discovery. As teachers, we need to identify and nurture this curiosity in children. Allow them to follow the paths that their questions lead them to. There are umpteen opportunities to learn in everyday experiences. When learning through discovery becomes a habit, sky is the limit. Learning will emerge into a life-long skill. The icing on the cake is that you will have a story to tell. Thank you, Deepak! Very grateful for your heartfelt wishes. Very nice. Curiosity and thirst for knowledge takes us a long way. Thank you, Jayashree! You are absolutely right! Very nice article, especially call for a curious teacher. Students generally are, but often get penalised for their out of context questions. You’re absolutely right! Children are naturally curious, teachers need more generous doses of curiosity. Both for ourselves and to engage with and encourage curious children. Loved reading this. Thank you! Thank you, Bikash. Glad that you enjoyed the read! Yes, Varsha. Looking forward to more such conversations.